Our residents are super lucky they have such amazing facilities right at their fingertips. 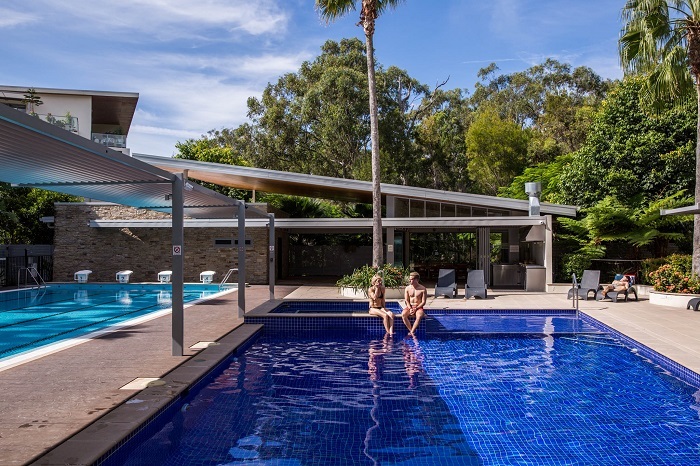 Amazing state of the art gymnasium, recreational pools & spa, lap pool, sauna & BBQ areas and the list just goes on! Residents enjoy laying by the pool, relaxing in the spa and even picnicking on the grass. It’s so easy to get out and about, or just relax after a long day at the office or over a lazy weekend. When the skin is exposed to UV radiation from the sun, vitamin D is formed. But how much do we really need? It’s so easy for our residents to get out in the sun over the weekend, but there is a fine line between just enough and burning your skin leaving damage. UV levels vary across Australia and throughout the year. During summer and the peak UV level, most of us only need a few minutes a day of sun exposure to an area equivalent to your face, arms and hands. This is sufficient to gain the vitamin D needed. People with darker skin need 3-6 times this amount. Daily exercise can also assist your body with production of vitamin D – all our residents enjoy staying fit with our great facilities! Always remember to use sunscreen and help prevent damage to your skin and help reduce the risk of skin cancer. 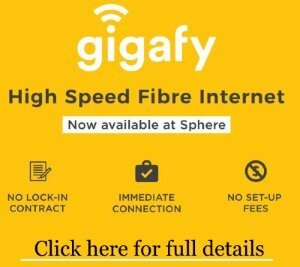 Want to be a part of the Sphere community? Check out what we have available for rent – or if your looking to buy, we have so many great options that produce a great return.